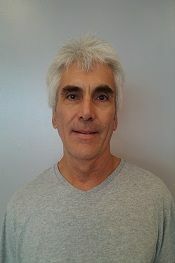 Richard completed the 200 hour Triad Yoga Teacher Certification program in March 2011. He is a RYT 200 with Yoga Alliance. Richard has also attended yoga workshops with Baxter Bell, Elise Miller and Bo Forbes. He began practicing yoga six years ago after suffering serious neck and shoulder issues. He is employed as a Technologist at LabCorp. Richard enjoys reading, music and gardening.